Diners, OCBC, Maybank & UOB Credit Cards installment plan are available. 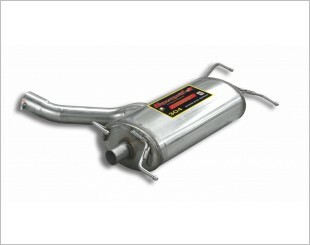 To sum it up, the choice of a Supersprint exhaust system is for the driver who expects only the very best for his car. And with systems available for almost any vehicle imaginable, from the sporty sedans to your dream supercars, Supersprint is able to deliver the perfect balance between performance and class. 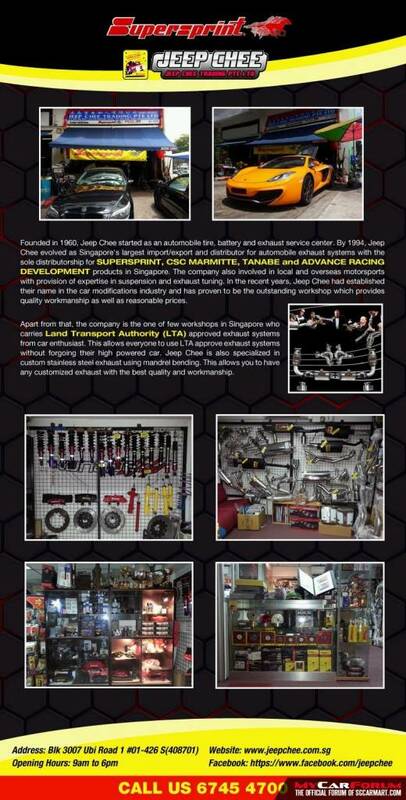 Jeep Chee is one of the most popular names when you think of exhaust modification, upgrading of car suspensions, sports modifications. 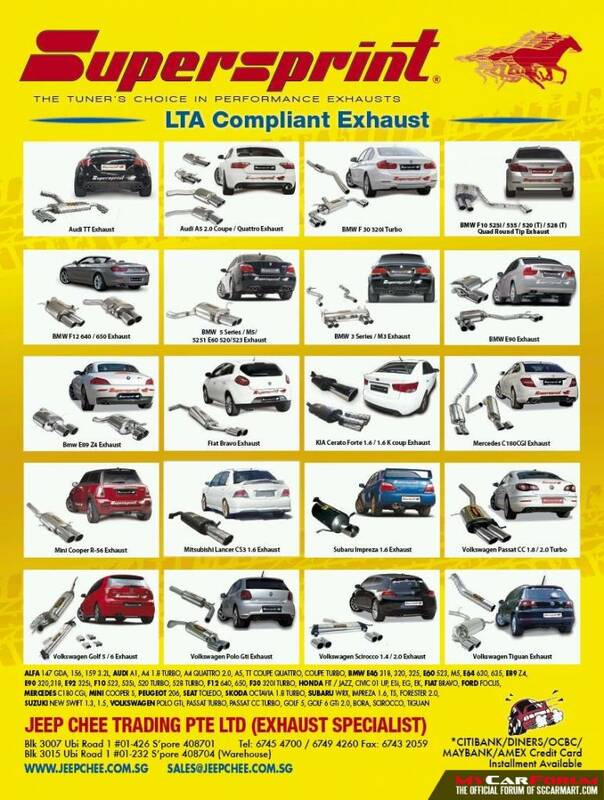 We are the sole distributor for many brands such as Tanabe, Supersprint, Motul, Apexi, Idemitsu etc. Call us now or visit our web page to find out more! Unlike the countless competitors Supersprint has seen come and go, since 1955, Supersprint does it’s homework on the dyno, the street and the track. Our extensive knowledge has been earned on thousands of cars around the world. 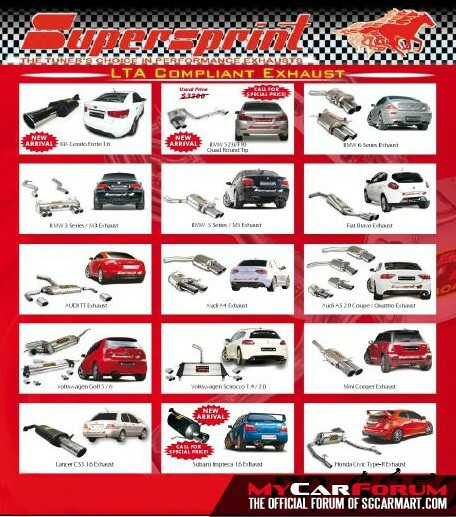 I am interested in the "Supersprint Exhaust System". This product is suitable for BMW 328i, BMW 520i, BMW 528i, Audi, MINI.